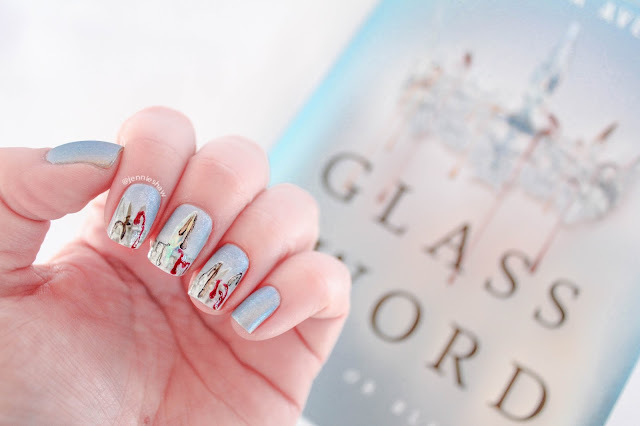 I'm a little behind on this review, but that's because the mani I wanted to do required supplies I didn't have (shocker, I know), but finally, they arrived in the mail, so I'm psyched to share what has been my most challenging cover mani, to date. 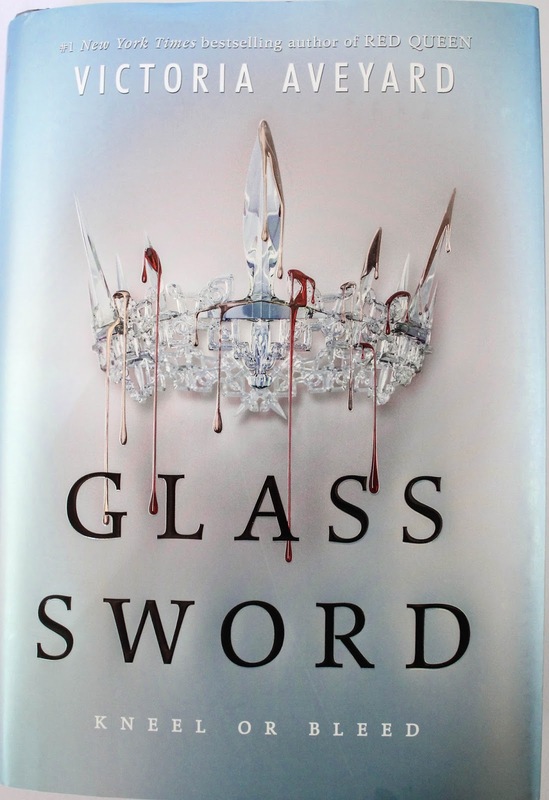 You know, alongside a review of the second book in the Red Queen Series. Haha! This book was jam-packed with action, intrigue, and a whole lot of awesome, guys and gals, so let's get started! Mare Barrow: a gal after my own heart. She's such an interesting character, with lots of choppy water running underneath her calm exterior. But that's probably how I'd be too, if I were stuck between two worlds, uncertain on which side to pick. As a sort-of-Silver (meaning she has special powers) but having grown up as a Red (the oppressed people in Mare's society), Mare has a unique point of view. Sometimes, the little lightening girl doesn't do the *right* thing, but since the very definition of "right" depends on which side you stand on, it's been enthralling to watch her figure out her next steps. 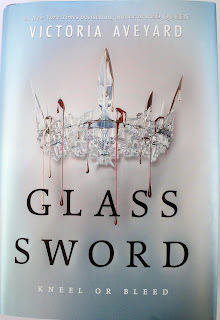 And what I loved about GLASS SWORD, is that Cal (former ruler whose brother Maven is on the loose, trying to basically destroy all those who oppose him) is just as uncertain as Mare. When trust is broken, it's impossible to rebuild. Sure, you can whip out the crazy glue and try to piece things back together, but the cracks will always show. Kind of like shattered glass (zing!). But I could feel their want to trust each other. Two lost souls who, for better or worse, are tied together. Necessity can sometimes trump deep-rooted fears, but that certainly doesn't mean it's easy. The blue and silver, tone-on-tone design on this cover proved to be quite the challenge to paint. I'm still not 100% happy with how it turned out, because I think the finer crown details are lost, but I LOVE the sword. I ordered some rolls of reflective foil and although it was a nightmare to work with, it was the only way to get a glass-like finish for the sword and in the end, it was totally worth the trouble. Yay! Like any good second instalment, many new questions and problems arose for Mare et al, and it turns out that the world is far more complicated than she could ever have imagined. Nothing is black and white, even when it presents itself as such. Yes, it's easy to say that bad guys should lose and the good guys should win, but when the divide between good and bad is blurred beyond recognition, it's a challenge to find the true course. And poor Mare is caught up in it all, falling victim to her ego more times than she should, but through it all, she retained my sympathy because in her own way, she really does want a better life for most. I will say that the addition of several new secondary characters made Mare's stumbles more bearable, and I was left with a hopeful feeling that...well...I actually can't tell you what I felt hopeful about because that would be a spoiler, but what I can say is: it's a good thing that Mare found people she truly can trust. Because with what's coming for Mare and The Scarlet Guard, she'll need all the help she can get. 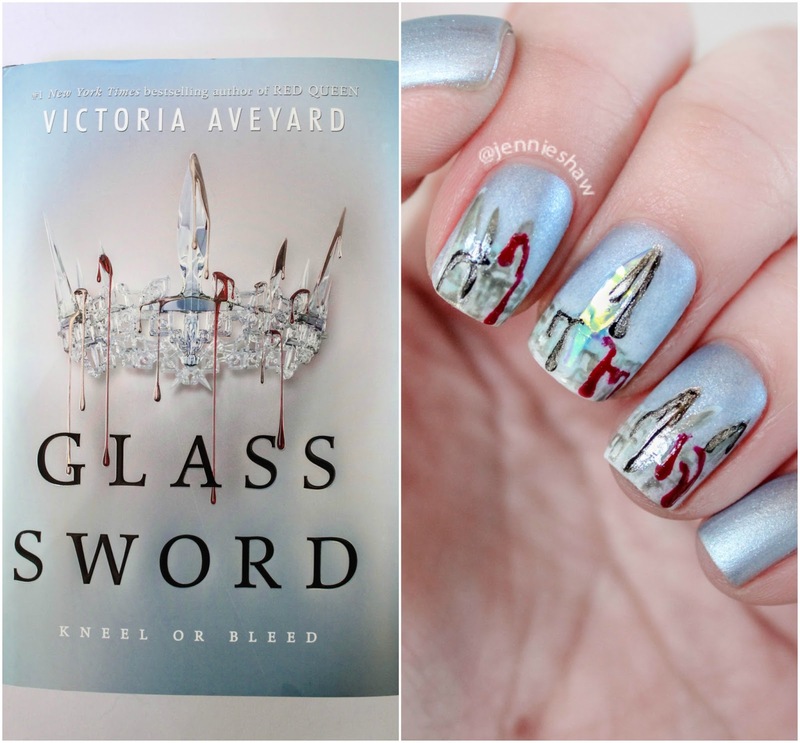 So if you're into quick-paced, X-Men-ish, dystopian novels, then you'll probably be all over the Red Queen Series. There are two books left now, which gives you plenty of time to catch up and then wait impatiently alongside the rest of Mare-a-holics. Haha! 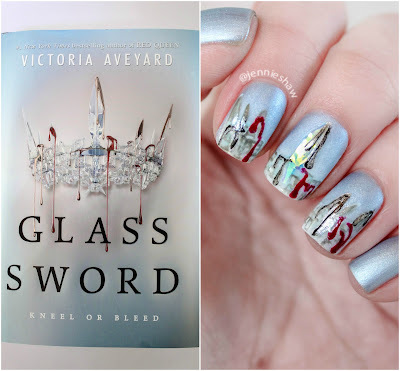 Oh, man, I just won Red Queen in a giveaway and I am SO excited to read it now! It sounds amazing, but X-Men-esque dystopian is my jam. PLUS your nails must've taken forever and I'da shanked someone if I were you. But they look amazing. How did you do the background blue/silver color? It looks gorgeous, nice and subtle, like it's just chromatic like that by nature. They are strong, shock-absorbent, and have tough, hard edges resembling katanas of the past. Ideal for display or practical purposes, these katanas are expensive, though, since they are handmade in order to replicate authentic katanas.